In the 1950’s and very early 60’s, Little Junior Parker made some of the best blues ever recorded. His most enduring sides were made during the age when high altitude B52 bombers and U2 spy planes were making headlines, yet the legacy of Little Junior Parker has flown just under the radar. His music combines what we now refer to as rockabilly, rhythm & blues, gospel, country, soul, blues and even elements of doo wop and pop music. He completely destroys these labels. He tears down the delineation between genres. His music obliterates the notion of black and white, urban and country as well as uptown and down home blues. He made music that is as fresh and fun today as when it was originally waxed more than half a century ago. Parker was a terrific songwriter. His original material has been covered by some of the most famous musicians in the world. He also sang some of the highly celebrated blues standards and made them his own. Parker recorded for some of the truly iconic labels in blues including Modern, Duke and Sun Records and was accompanied by the best and most respected musicians in the business. He possessed one of the greatest singing voices of the 20th Century. His vocals were so pliable that he could combine the sound of a gospel influenced blues shouter with the warmth of a Bobby Bland and still have some of that Rosco Gordon rough edge intact. He was also a wonderfully effective harmonica player who employed a fat tone. He seemed to know what the song called for and put the notes exactly where they belonged. 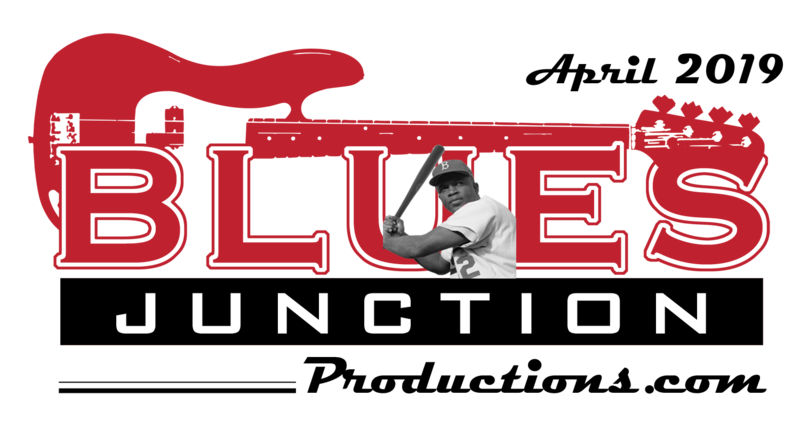 Parker was the complete package, yet he remains, to a degree, outside the consciousness of even the most ardent blues fans. To give you some idea as to the extent of which his legacy has been neglected, the album we are re-visiting this month came out just three years ago. That’s right; there hasn’t been a comprehensive package that rounds up the singles from the most creative period of Parker’s tragically short career until 40 years after his death. Herman Parker was born on March 27, 1932, near West Memphis, Arkansas. While still in his teens he performed with both Sonny Boy Williamson 2 and Howlin’ Wolf. He was given the sobriquet of “Little Junior” early on and it stuck with him for the rest of his life. Parker soon found himself on the other side of the Mississippi River in Memphis, Tennessee, where he recorded his first single in 1952, You’re My Angel under the supervision of talent scout and A&R man, Ike Turner. Parker was backed by Johnny Ace on piano, Matt Murphy on guitar and drummer Earl Forest. The tenor sax was most likely played by James Wheeler. This set the template for recordings by Little Junior Parker where exceptional studio musicians, who were often stars in their own right, would back the prodigiously talented young man. For example the guitarists on his sessions from this period not only included Matt Murphy, but his brother Floyd Murphy whose accompaniment was extraordinary. Blues guitar titans such as Pat Hare, Roy Gaines, Clarence Holliman and “Lefty” Bates also make great contributions on the Parker sides heard here. One great tune after another flowed out of Parker and his bands which at times were billed as Little Junior’s Blue Flames. Originals You’re My Baby, Feeling’ Good, Mystery Train and others would go on to become standards not only in the blues canon, but also become iconic songs in the world of rock & roll. Little Junior Parker also covered tunes during this period by others, perhaps most notably Eddie Boyd’s Five Long Years, Robert Johnson’s Sweet Home Chicago and Roosevelt Sykes’ Drivin’ Wheel. By the time the 1960s rolled around, the music of Little Junior Parker had already been discovered and co-opted by such stars of the Sun label as Carl Perkins, Johnny Cash, Elvis Presley and others. The term rockabilly became associated with the white youth market and was used to describe a type of music that traced its roots directly through Little Junior Parker. Yet he was seldom, if ever, mentioned in the same breath as these cultural icons. It wasn’t long before the so called British invasion signaled the beginning of the end of Little Junior Parker and others who created much of this great music. By the end of the decade, Parker was mixing Beatle covers into his repertoire and recording more soul oriented material. He was leaving some of the “bluesier” elements of his music behind in an attempt to connect with a changing marketplace. Parker still had his vocal chops intact, but too few were listening. Herman “Little Junior” Parker passed away on an operating table at Saint Francis Hospital in Chicago on November 18, 1971. The victim of a brain tumor, he was 39 years old. By this time Parker was just a small foot note in history. Parker wasn’t immortalized by being the victim of a self inflicted gunshot wound, a drug overdose or plane crash. His life slipped away with very little fanfare and his legacy as a result fell between the cracks. His life also fell short of the blues revival of the 80’s and 90’s where he would surely have been been a big draw on a festival circuit and introduced to a whole new generation of fans. No doubt he would have been paired with a new crop of great back up musicians, who were weaned on Little Junior Parker and have a reverential lust for his music. It would not be hard to picture The Hollywood Fats Band, The Fabulous Thunderbirds, The Blasters or The Stray Cats backing up Little Junior Parker on stage. On the other hand, it might be difficult to picture any of these bands even existing without him. This is why this 55 track, two disc box set by Fantastic Voyage Records, which was released on February 20, 2012, was a Godsend. Only bits and pieces of Parker’s recorded sides from this period have been available, usually on various, now out of print, label compilations where a smattering of his songs sat beside material by other artists. The sound quality often left something to be desired. That is not the case with Ride With Me Baby. The sound here is astonishing. This comprehensive package includes detailed information such as recording dates, locations and credits as part of a fantastic 15 page booklet, which features the wonderful writing of Dave Penny who chronicles the life and times of Parker. The package also includes some rare photographs and art work. 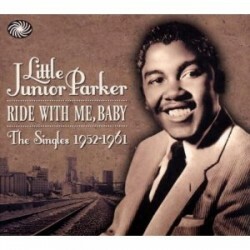 Like the other albums chronicled in our “Re-Visited” series, Little Junior Parker’s Ride With Me Baby: The Singles 1952-1961 are true Desert Island Discs or as I like to call them Paradise Platters. Little Junior Parker was a unique artist and this exceptional package deserves a special place in the library of anyone who is a fan of great music. It is high time we celebrate this true American original in style.